We've began focusing our attention on refreshing drinks once the hot sun started to shine and what better drink to help fight the heat of the sun than sangria. 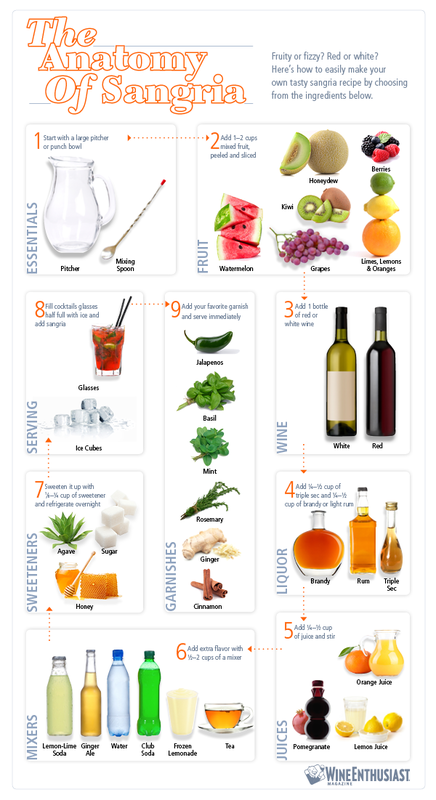 This infographic from the Wine Enthusiast sets out to breakdown all the ingredients required to whip up a tasty sangria. From the wine to the glass, fruits to the liquor. It even goes into garnishes and offers suggestions for both savory and sweet options. It's a useful look at sangria and will have you whipping up your own homemade batch in no time at all.